I just got back from vacation and I think I’m suffering from Post-Vacation Syndrome: I’m behind on reading, still working through my emails, and a little slow with updates for the blog. That’s why I’m a little late with this news item. Back in July, Avis and Budget introduced what so far has been the best AAdvantage bonus offer of 2012: 5,000 miles from Avis and 3,000 miles from Budget. These two great offers were set to expire on August 31, but now they’ve been extended through September 15, 2012. Save up to 35% with every Avis rental plus earn up to 5,000 AAdvantage bonus miles. Dates: July 18, 2012 through September 15, 2012. Save up to 35% on rentals at Avis airport locations worldwide when you use your American Airlines Avis Worldwide Discount (AWD) number K817165. Earn 3,000 AAdvantage bonus miles on rentals of 1-2 days. Earn 5,000 AAdvantage bonus miles on rentals of 3 days or more. Use your American Airlines Budget Customer Discount (BCD) number U072411 to saveup to 30% on Budget rentals. Plus, earn even more with up to 3,000 AAdvantage bonus miles on qualifying rentals!. Rent a Budget car for 1-2 days and earn 1,000 AAdvantage bonus miles at participating Budget airport locations. Rent a Budget car for 3 days or more and earn 3,000 AAdvantage bonus miles at participating Budget airport locations. Use coupon number MUAZ025 and provide your AAdvantage number to earn your AAdvantage miles. Rental must begin by September 15, 2012. Go here for full details. 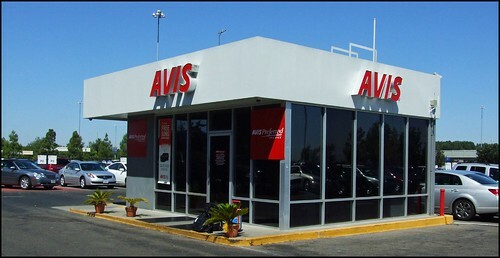 Photo: Avis Preferred Customer Booth. FWIW, just wanted to share my experience. I did a 1 day rental twice. No bonus received. Avis customer service said the rentals had all the right rate and bonus codes but one rental was coded as non-revenue and the other was getting only the basic 50 miles per day. Avis will manually request the bonus. @ MichaelIP – That’s good to know. Thanks for sharing. I had been waiting for some miles to post from rentals on Sept 1 and 2 and finally got 50 miles to post per rental. I called Aadvantage to ask about the 3000 bonus miles per rental and when they (and I) looked for the promotion on the AA website, only the current offer came up, which began yesterday and offers a lot less points. I have no proof, like a screenshot, showing that the promotion was extended til Sept 15. Does anyone have a screen shot or other proof that shows this offer was supposed to be, or is still, good til Sept 15? I hate to think that my drives to LAX were only to earn 50 AA points.